Dmitry Medvedev, Prime Minister of Russia estimates that nuclear power and space exploration will become the main fields of technological cooperation between Russia and Brazil. “Our countries are characterized by actively developing economic systems; they pay much attention to prospective spheres of cooperation among which are nuclear power and space exploration. It has already been discussed today”, he said at a press-conference following the sitting of the Russian-Brazilian High-Level Commission on Cooperation in Moscow on Wednesday. “We estimate that these spheres will ultimately become the basis of the Russian-Brazilian technological alliance”. Dmitry Medvedev also said that Russia and Brazil had decided to put forward the preparation of bilateral documents. “Such partners as Russia and Brazil are to have a reliable regulatory framework. A number of documents have already been signed, and there is another number of documents that are also ready to be signed but they haven’t been ratified yet. We hope that we will be able in the nearest future to give a complementary jump-start for these decisions to be taken”, he said. On Wednesday, within the VII session of the Intergovernmental Russian-Brazilian High Level Commission, the Memorandum of Understanding was signed between the Russian State Atomic Energy Corporation "ROSATOM" and Nuclebrás Equipamentos Pesados (NUCLEP), the leading nuclear company in Brazil providing services in the heavy engineering. From the Russian side the document was signed by Mr. Kirill Komarov, First Deputy CEO for Corporate Development and International Business of ROSATOM, and from the Brazilian side it was signed by Mr. Jaime Wallwitz Cardoso, President of Nuclebrás Equipamentos Pesados. 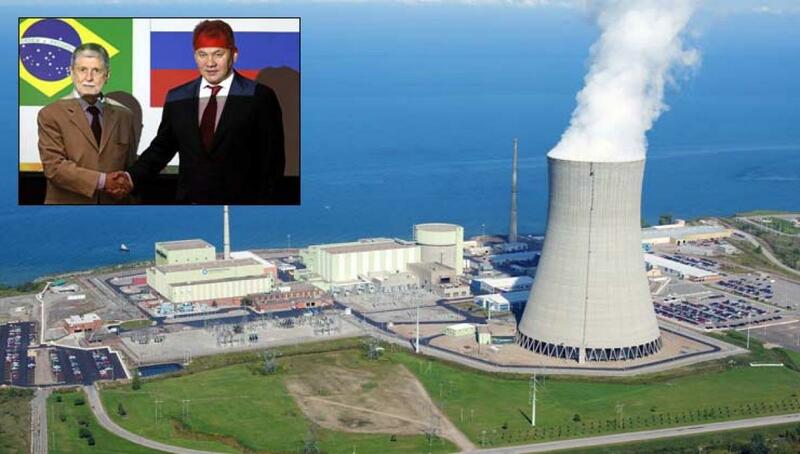 The Memorandum’s subject is the development of partnership between the parties not only in the nuclear power and electricity industry, like cooperation in possible construction of NPP in Brazil, but also about cooperation in wide range of other areas. Particularly, possible interaction in power-plant engineering, thermal power industry, petrochemical industry, shipbuilding, etc. are the other points of the Document. The Memorandum aims at potential implementation of joint projects not only in Brazil, but also in other Latin American countries as its priority region. Realization of the Memorandum will be held with active support from "ROSATOM América Latina", ROSATOM's subsidiary.